You are definitely going to want this stamp set! I absolutely love September’s stamp-of-the-month. It’s so fun to work with! It has beautiful sentiments and images. Did I say that I love it? 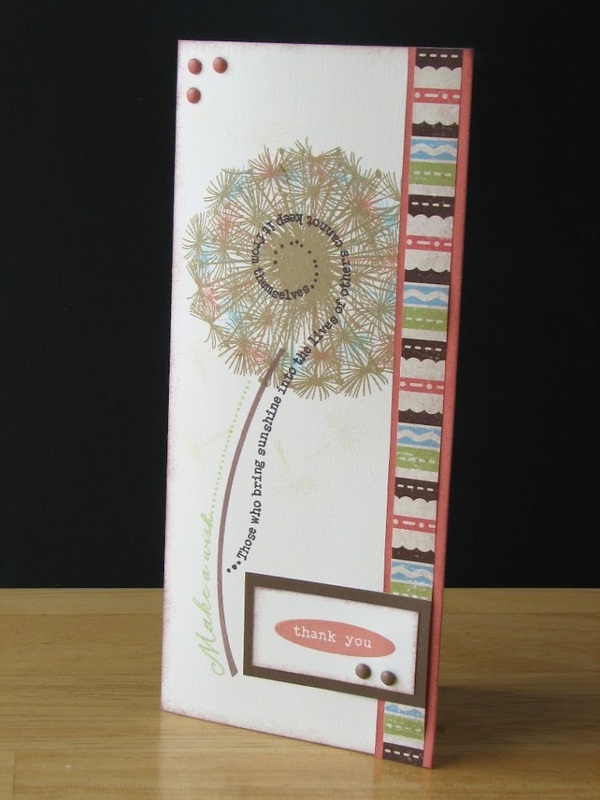 This card uses Sorbet cardstock and a Colonial White base with Chocolate ink and Ribbon Rounds. I got the inspiration for this card from Aaron Brown. The pattern is from Wishes, called Open Outline. It’s a 6×6 card. 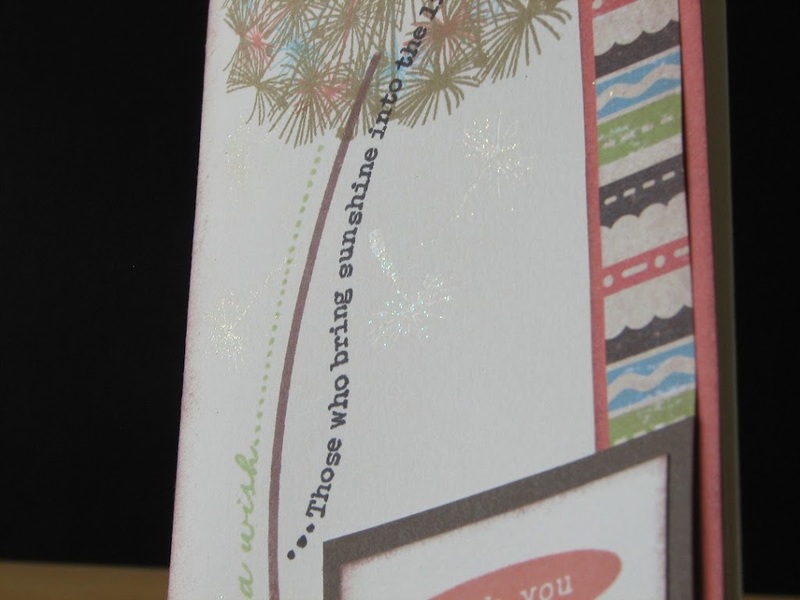 The next card uses Twitterpated paper and an awesome new technique to me. 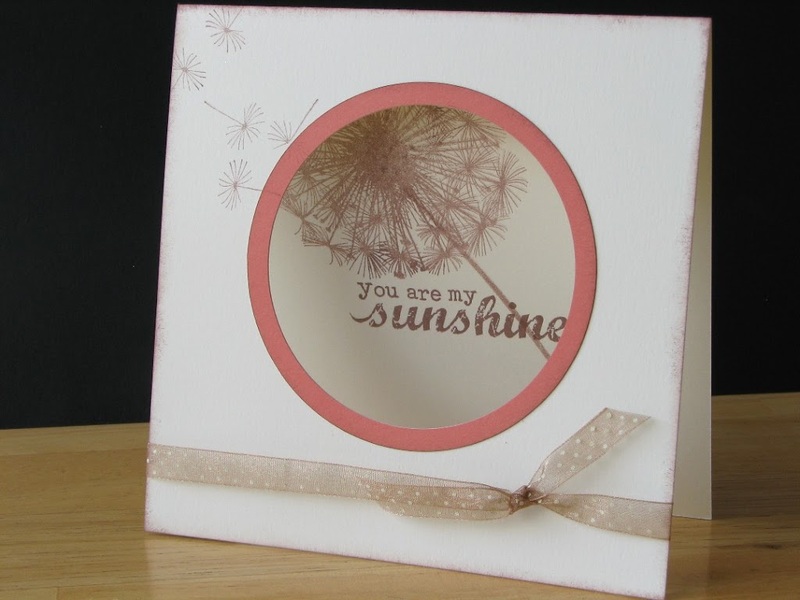 I clear embossed the top part and then sponged Crystal Blue ink over the images. Click on the image and you can see the detail. 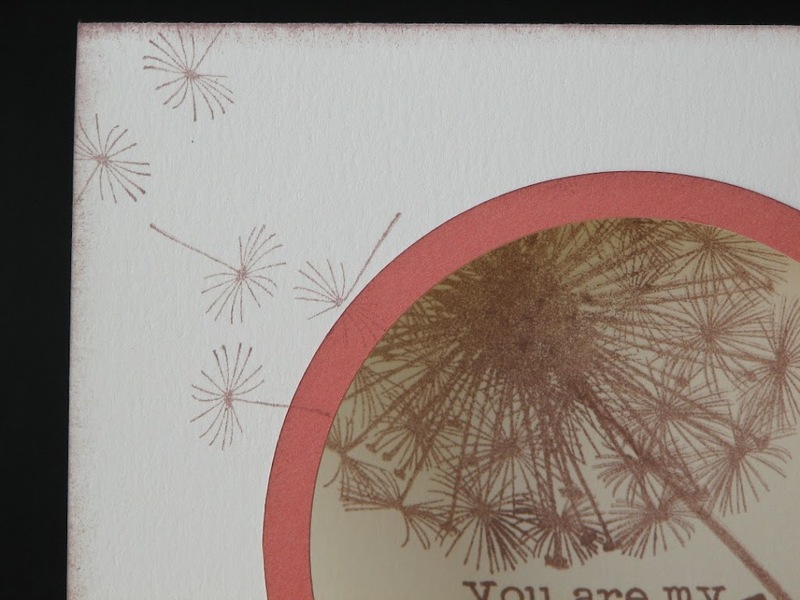 Again, Chocolate ink, with Sorbet as well as the Crystal Blue along with the same Ribbon Rounds. Both this card and the next are both inspired by Katrina Sikora. I love this last one. It’s got some colour in the main image. I also embossed some little fly-away guys and then put some Prisma Glitter on them. You can see those in the second photo. Again, there’s a bit of Twitterpated paper. I added some Sorbet brads in the corner and Chocolate brads on the sentiment. You ask, “How do I get this stamp set?” Great question! You can order it at the full retail value of $28.50, but why do that when you could get it for free! Depending on what else you order, you could get it for $21.38, $14.25, $7.13 or free. In fact an order of just $31.25 already gives you 25% off. Now since this is September’s SOTM, you won’t be able to get it until September. But start making your wish list now and go online to see the new Idea Book on September 1st. Then call or email me with your order. Make sure you get a paper copy of the Idea Book. Let me know if you’d like one. In the meantime, work on this month’s challenge and you might win a prize. I haven’t seen any layouts yet. OH my Krista ..these are fab! That first card is to die for…I wanna go lift it right now!!!! Your other two are equally spectacular! These are great, I love the first one!!! Fantastic Job! I LOVE what you did with this!! !